About the Animal: All lemurs are ‘prosimians’ – ‘almost monkeys’. They are relatives of the earliest examples of primates left in the world. 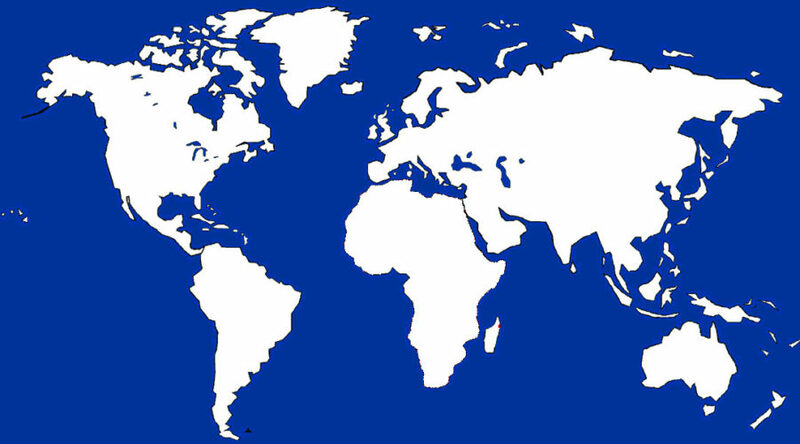 Only on the island of Madagascar, in the absence of both modern primates and predators, were lemur species able to become diurnal/crepuscular and large – like the ruffed lemurs. Red Ruffed Lemurs, like their Black and White cousins, are almost completely arboreal, rarely descending to the ground. Lemurs, unlike other primates, depend upon smell for communication. They use scent glands on wrist and backsides to mark territories and ‘leave messages’ for conspecifics. Like all lemurs, the Red Ruffed Lemur is an endangered species whose habitat is disappearing at an alarming rate. 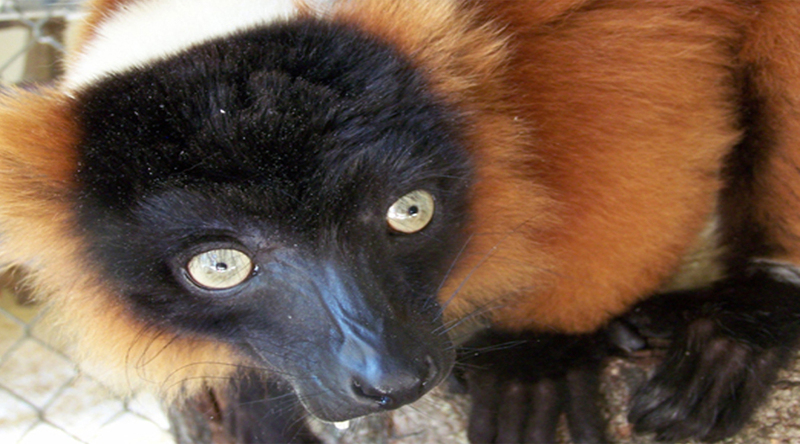 Mating and Reproduction: Mating in Red Ruffed Lemurs occurs in December to February. The gestation for these lemurs is unusually short, about 102 days. Litters are most often comprised of 2 infants, which the female carries in her mouth, depositing them in a safe and convenient spot while she eats. By the time the young are 5 weeks old, they are able to climb almost as well as an adult. Amazing Information: Red Ruffed Lemurs are extremely vocal; 12 different calls have been recorded. Even though they are completely separate species, Red Ruffed Lemurs and Black and White Lemurs can ‘talk’ to one another.